Erin oversees the tax, payroll and bookkeeping areas of the business. 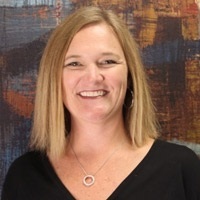 Previous to Tax Help, Erin worked for Ernst & Young LLP and spent more than 10 years with Ecolab, Inc. in various financial roles including internal audit, payroll and corporate account sales. Erin holds an accounting degree from the College of Saint Benedict. She is a member of the National Association of Tax Professionals and is authorized to practice before the IRS as an Enrolled Agent. When she's away from the office, Erin and her husband stay busy with three very active kids. She enjoys volunteering and cheering from the sidelines at their various sporting activities.